Let’s begin by building a foundation together. 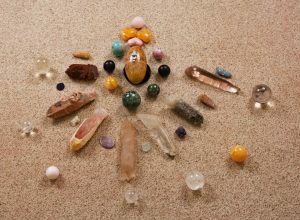 This course explains “our version” of the basic terms and concepts that you will need to know in order to learn the first round of 21st Century Crystal Healing Techniques. No matter what discipline you are studying, the wise and experienced teachers always confirm the same principle: To develop a skill, you must first learn the basics. To improve, learn the basics to a higher level. To become a master, return to the basics yet again, and learn the basics at the Master level. 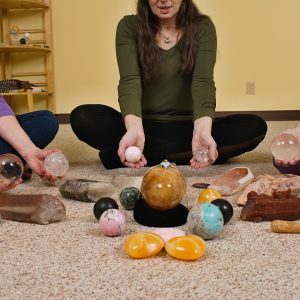 21st Century Crystal Healing Techniques builds on traditional methods. If you are a beginner, you still need to know these traditional methods. If you are experienced, whatever style of crystal healing you currently use, please continue. There is nothing “wrong” with “old” techniques that have been around for centuries. In fact, those are the techniques that have stood the test of time! We need to develop a shared foundation, and we also need to ensure that we are speaking the “same language.” This is so necessary, that we are providing this course for free! I understand that crystal healing is a complementary service and is not a substitute for medical diagnosis and medical care. The information is organized so that the terms and concepts will be explained at the time, and only to the extent, that they are needed for learning a healing technique. As the techniques progress, you will need to learn more terms and concepts, and the information about previously learned terms and concepts will also be expanded. Take your time reading through the material, perhaps reading a lesson per day or per week. I learned about crystals by reading the introductory sections to Melody’s books again and again, one section at a time. I didn’t try to learn anything “off by heart” – I allowed the material to sink in slowly and by repetition. Every time I became confused by a concept or term, I simply returned to my references, and re-read the pertinent sections. I encourage you to find the way that works for you. Your vibrational frequency is the frequency at which your energy field, which is electromagnetic, is vibrating at. Every cell of your body sends off a vibration. In this lesson you will learn 2 aspects of energy anatomy – the chakras and the energy field. Psychic protection is the term used for protecting ourselves energetically from energies that either attack or drain us, or both. Cords are the etheric material that we “throw out” when we think of someone. In that moment of thinking of that person, we generate a cord of etheric connection, and we become linked to that person. “Grounded” literally means “having your feet on the ground” so that you are stable and oriented with regard to the earth plane. As the term suggests, “grounding” refers to your relationship with earthly matters: the material world, reality (in terms of the earth plane, called “ordinary reality” in shamanism,) time, space, money and food. When acquiring stones for use as tools, it is very important to know how the tool is going to be used. This puts you into a little bit of a chicken and egg situation – because you can’t use the tool until you know how you are going to use it. This is the ideal moment to talk about crystal elixirs, because when you make a crystal elixir, you are programming water to take on desirable properties from crystals. Once you have made the elixir, you can drink it, thereby distributing the desired programming into every cell of your body. How fabulous is that!